Of Bats and Brides: Who’s Your Valentine? Okay, yeah, my enthusiasm completely missing, I felt that Mother Guilt twang—you know, the one that comes along and reminds you there aren’t as many photos on the walls of Child Number 3. Before my mouth fully checked in with my mind, I agreed to do this, and several bat web sites later, we had more than enough encyclopedic information to delight any budding chiropterologist. Really, National Geographic Kids should be calling me any time now offering me a regular contributor gig [smile]. I started thinking about the great lengths Little Man and I went to in order to best represent his interests to the recipients and how we found the right pictures, communicated mild humor, chose words that sounded like something he would say, and offered some education along the way. It was important to Little Man to represent himself honestly. He didn’t want to convey just any message. He wanted to remain true to himself. When his classmates open that valentine, many of them will not even need to turn it over to see its sender. It will look and read so much like Little Man, that anyone who truly knows him, or is his daily companion, will recognize the author’s voice. That was her assessment of me as I sat across from this professional who walked me through an emotionally difficult time. Stronger? Really? You can see that? See, the thing is: I feel stronger. I didn’t realize, however, that it was evident to anyone else. But where does my strength come from? Sure, the squats, lunges, and planks (one of my warrior princesses told me to add a “dead bug”) I do a few times a week are toning my physical body, but what about my spirit? How do I exercise that? How did I build my spiritual muscles during a time when staying in bed, perseverating on what was out of my control, and escaping through other means were tempting alternatives? Sometimes it was a minute-by-minute battle, but the choices were critical in determining if I ended up character-toned and feet planted more firmly in God’s amazing grace. God’s Word offers me solutions and truth in every circumstance. 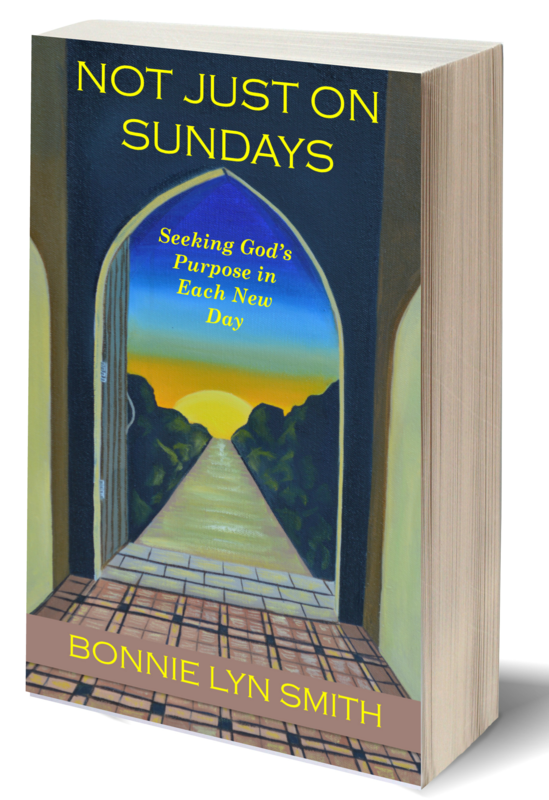 Journey to Publication: Excerpts from "Not Just on Sundays"